Screenshots for Nokia Series 60 - Create screenshots of your most beloved games and applications! 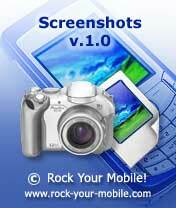 Screenshots implements the possibility to make high-quality pictures of the current display content on all Nokia Series 60 smartphones. The application support games and any kind of applications. 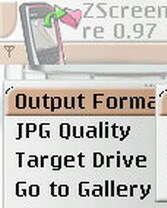 After using the pre-defined key combination a screenshot will be made of the current display content and will be stored in the picture folder. This picture can be edited, send or transfered to a Desktop PC. And the best of all: Screenshots is free of charge! Other Java Freeware of Developer Rock Your Mobile!